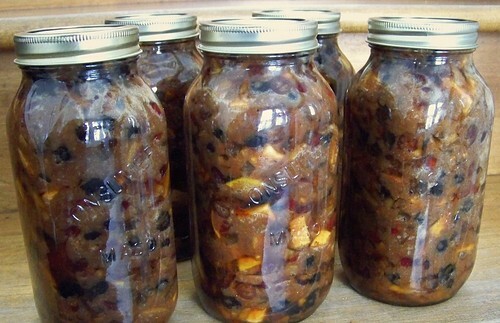 My grandmother came over for coffee yesterday (which for you is about ten days ago) and brought with her about two dozen canning jars she didn’t use anymore. As well, she brought me an early Christmas present: Catherine Atkinson and Maggie Mayhew’s Complete Book of Preserves & Pickles. Today the book is already covered in stains, just like every good cookbook should be. I am in love. 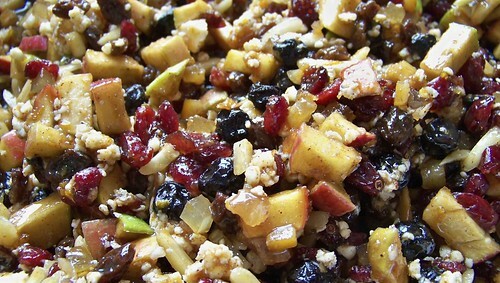 Each recipe is simple with regard to ingredients and the instructions are straightforward. 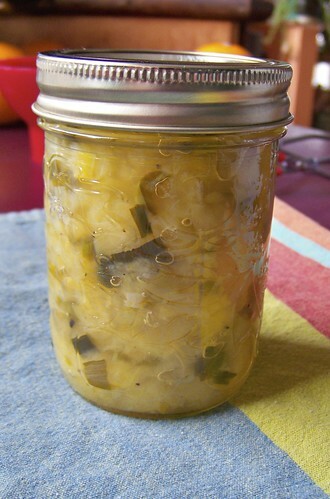 I’ll prove it to you by showing you a fantastically easy relish I made in less than an hour. I am relishing my first attempt at this particular preserve. 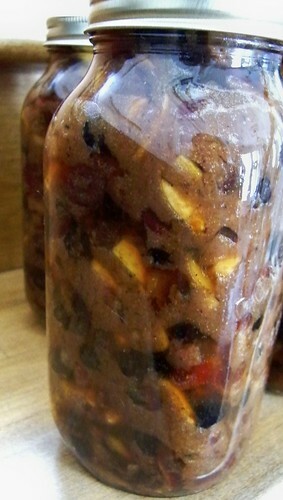 I tripled the recipe in the book and came out with 7 250mL jars of relish. Open and drain 6 14oz cans of crushed pineapple. You can use rings, which drain faster, but then you have to cut them up. Reserve about 1 1/2 cups of the juice. 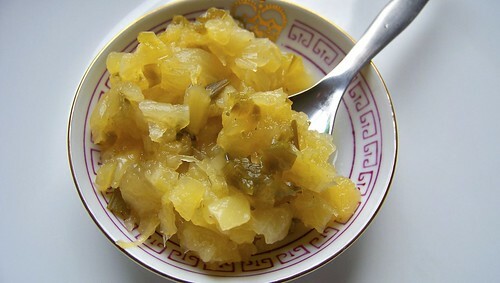 Set the pineapple in a sieve over a bowl and leave that for a while to get all the drippings. 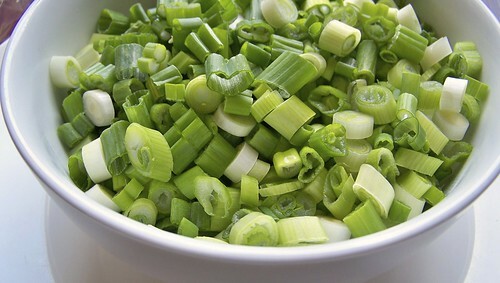 Chop up 12-16 green onions (scallions), and mince 6 jalapeno peppers. The recipe calls for red chillies but I didn’t have any. 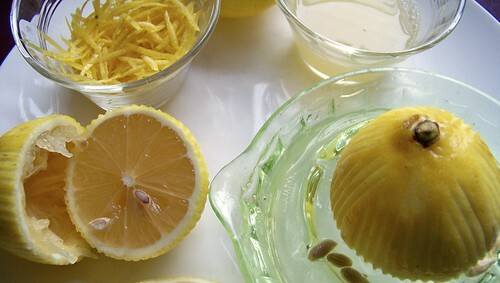 Pare the rind from 3 lemons and juice them while you’re at it. 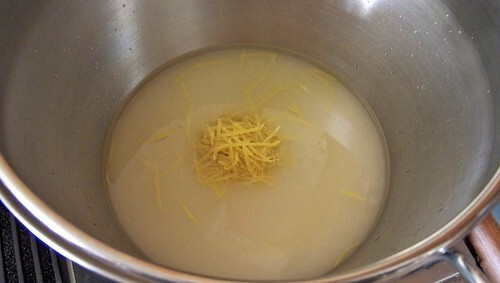 Put the lemon rind and juice in a large saucepan (I prefer a maslin pan for the evaporation) together with 9 tablespoons white wine vinegar and 1 1/2 cups granulated sugar. 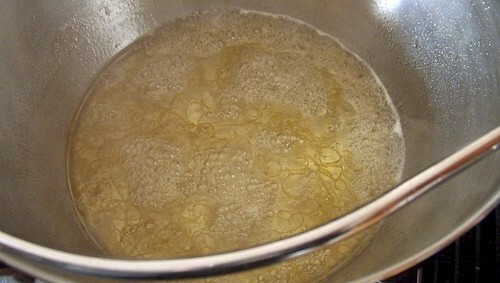 Heat on low, stirring, until the sugar has dissolved, then bring to a boil. 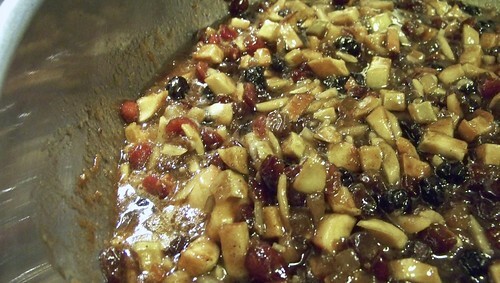 Cook like this on medium, stirring, for about ten minutes or until the syrup has thickened slightly. 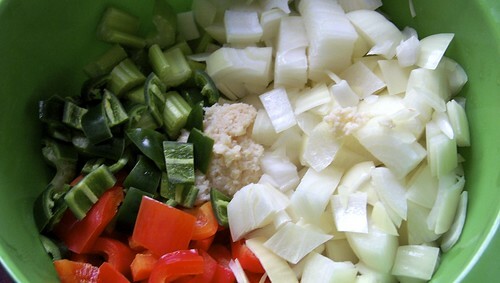 Add in the chopped onions and peppers, together with your reserved pineapple juice as well as any that has dripped out while you were waiting. 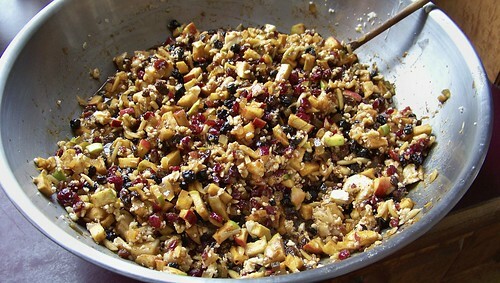 Cook this for about five minutes, until things get quite syrupy. Increase the heat and add the pineapple. 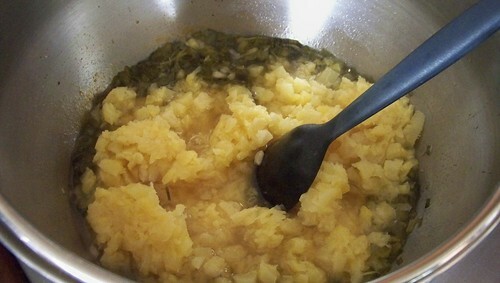 Cook until most of the liquid has evaporated. 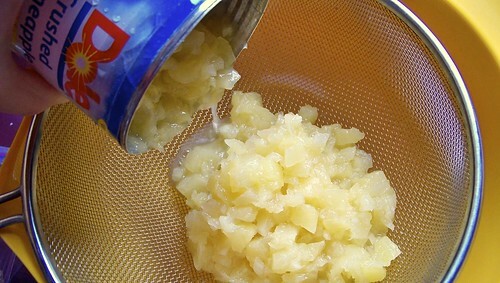 Can according to your canner’s instructions. 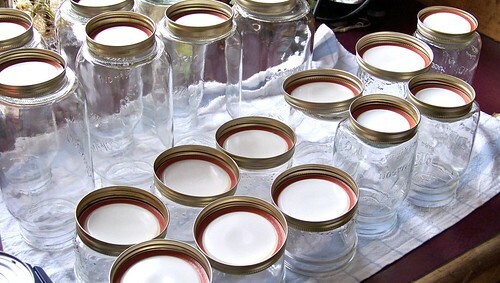 We’ve got some tips on canning here, as well. 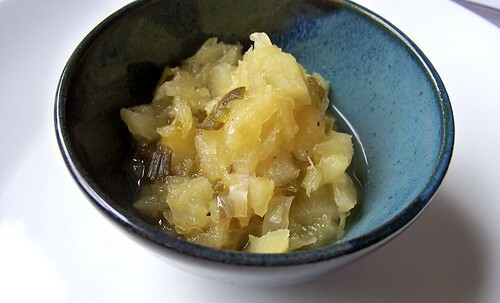 This relish keeps for about three months, and, once opened, should be kept in the refrigerator. 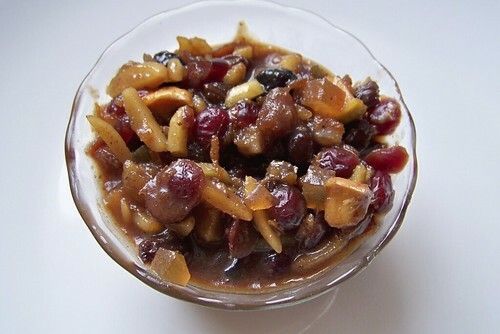 Great with chicken, pork, and white fish. This recipe has been adapted with thanks from PickYourOwn.org, who set out all the steps for this delicious tangy tomato goo, including the entire canning process. 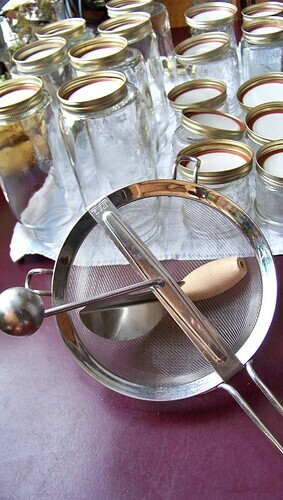 For other tips on canning, check out some previous posts here. 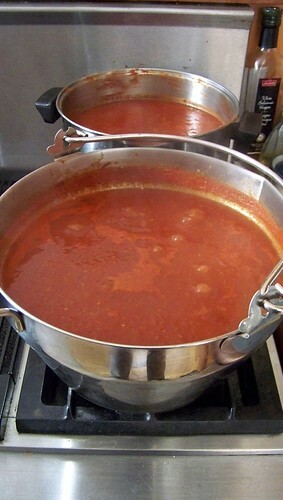 I doubled the batch laid out below (of course) and ended up with about 8L of sauce. 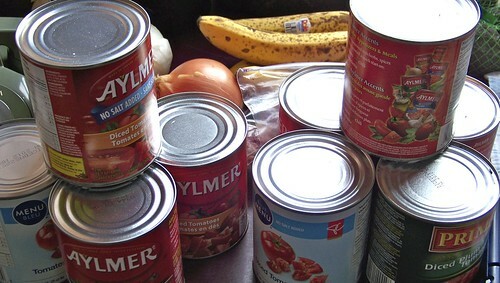 In a very large pot, start simmering 5 14oz (796mL) cans diced tomatoes. This is roughly equivalent to 16 cups or 4 quarts (I did the math). 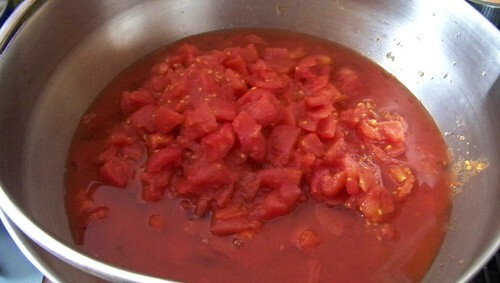 In one of my batches I substituted one can of crushed tomatoes for diced. It didn’t seem to make much difference, save I had less seeds in that one. 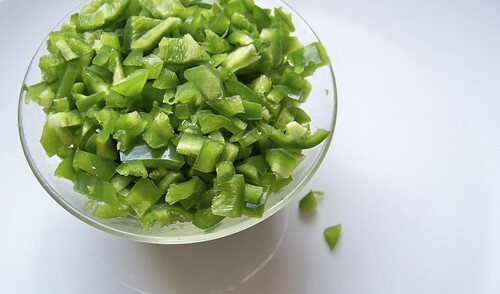 Once those are going strong, chop and chuck in 4 stalks celery, 2 onions, 3 red peppers, 2 jalapeno peppers, and 2 cloves crushed garlic (or garlic-in-a-jar). 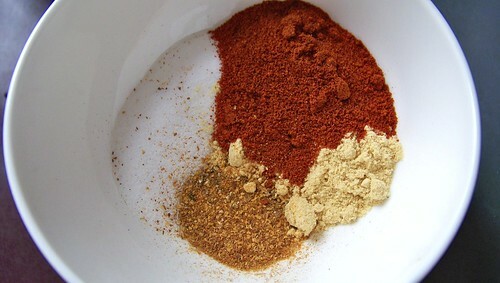 In addition to that, add in 2 teaspoons ground black pepper, 1 tablespoon dry mustard, 1 tablespoon paprika, 1 tablespoon sea salt, and 1/8 teaspoon cayenne pepper. 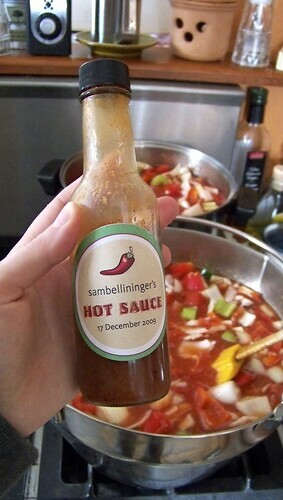 THEN add in 1 teaspoon hot pepper sauce, such as Tabasco, 1 cup brown sugar and 1 1/2 cups 5% (white) vinegar. Remember you can adjust any of these flavourings to suit your own tastes. 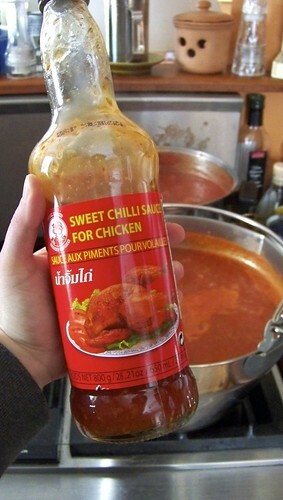 I added extra cayenne and brown sugar, as well as a few dobbles of sweet chilli sauce and a can of tomato paste. 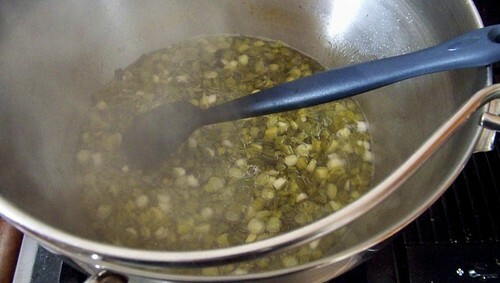 Simmer everything for about 30 minutes or until it’s all softened. Now here you have two options. If you have tremendous patience, you can run the cooked sauce through a food mill, which will remove the seeds and give you a lovely velvety smooth sauce. 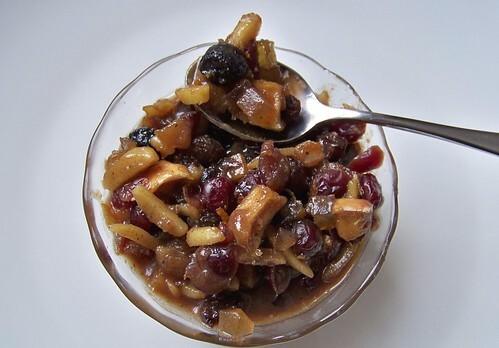 If you’re me, you can use an immersion blender. 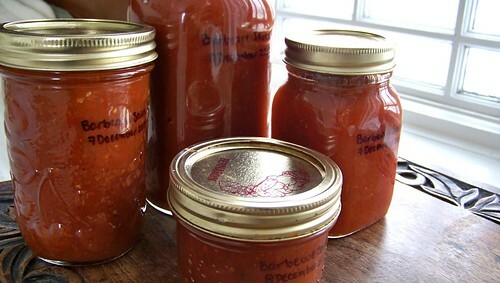 Tomato sauce will end up everywhere, and you will still have seeds in your slightly chunkier sauce, but you will end up with more sauce for preserving. 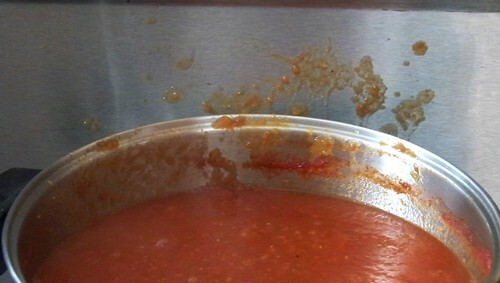 All you have to do at this point is cook down your processed sauce until it’s the consistency that you like. 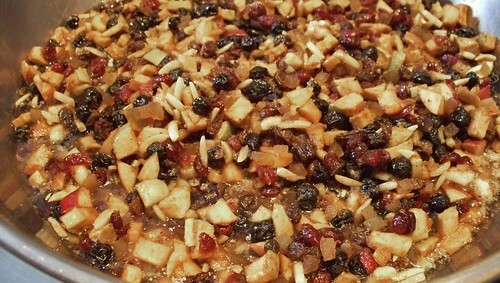 Just keep an eye on it and stir frequently to avoid burning. 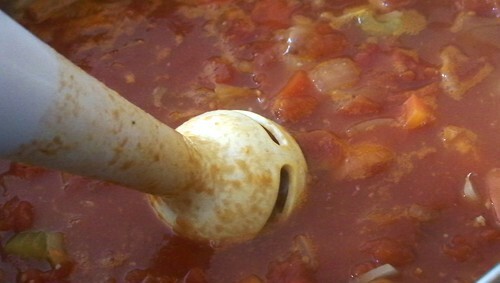 Remember that the sauce at this point is thick enough to interfere with proper convection so stirring is essential. 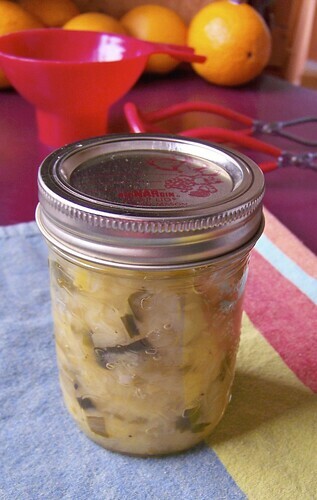 Pour into sterilized jars and can according to your canner’s instructions. And that’s it!